I wish we had an endowment fund. We hear that often from charitable organizations. Philanthropic leaders recognize the importance of endowment giving, yet launching and growing an endowment program doesn’t always make its way to the top of the agenda. Endowment funds are a vital tool for charitable organizations as they help secure an ongoing revenue stream. Accumulated assets are untouched and the income generated by the assets can support an organization’s operations and programs. develop creative programming to encourage ongoing participation.  Let Protexia help you move forward with the endowment fund you always wish you had, or always wish you had time to nurture.